Ecommerce accounting is challenging. Too many companies and accountants make bookkeeping errors that lead to poor operational and strategic decisions. LedgerGurus is here to help! 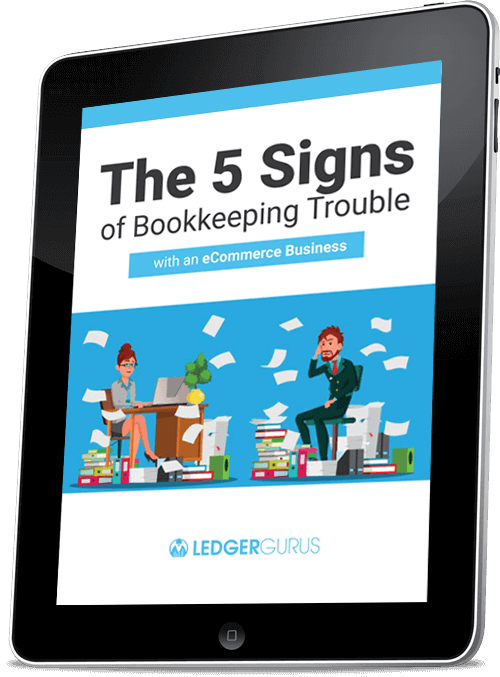 We have compiled a short guide outlining the Five Signs of Bookkeeping Trouble with an Ecommerce Business. These five signs are found on your Balance Sheet and P&L Statement. As you read, we recommend having your financial statements on hand to validate your books. If you find any of these signs, you will have a starting point for cleaning up your books. In many cases you’ll need an ecommerce accounting expert to help.